During the war effort Stewart Warner fulfilled its duty by producing all manner of gauges for the thousands of aircraft being built. 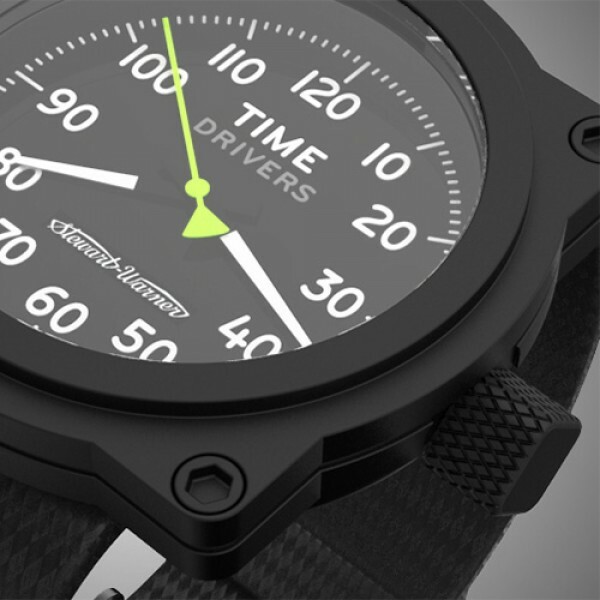 This Timedrivers watch, under license from Stewart Warner embodies many of the features and details of the era- flat black bezel and case, black dial with bright white numbers, flat mineral glass crystal, and the Stewart Warner script logo all complimented by the high visibility lime green seconds hand. 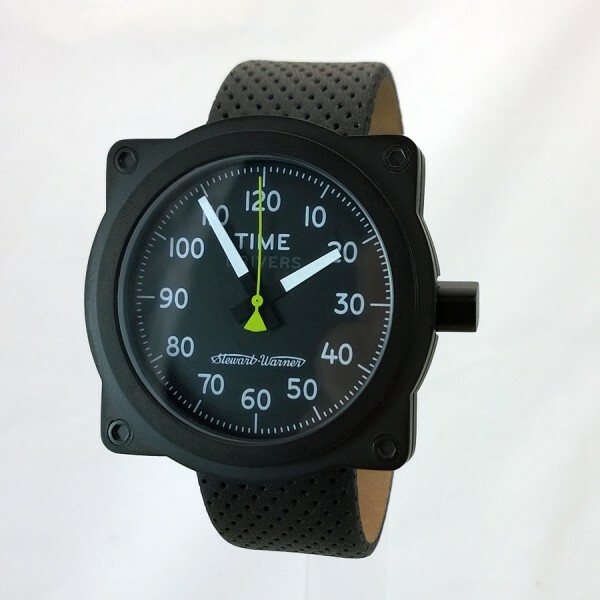 The watch features a precision quartz movement and is waterproof to 100 feet. The strap is heavy-duty military nylon weave with a flat black buckle.